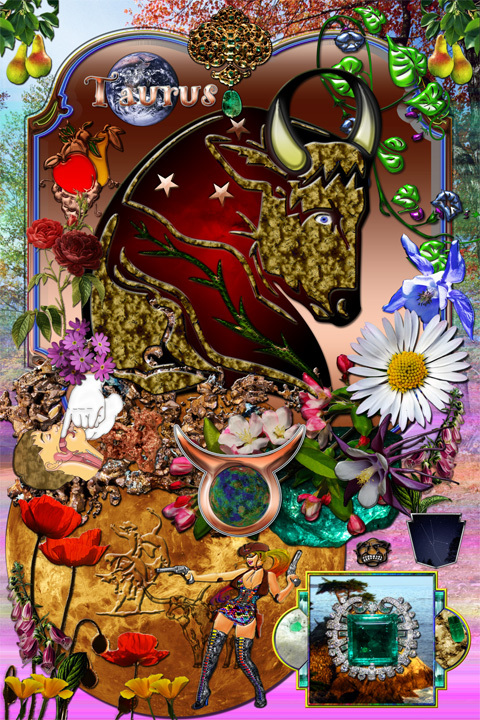 Taurus Zodiac Astrology Sign & Symbol The Bull Artwork, Gender; Feminine (cowgirl on Venus) pink, pale blue and green, pastel shades (overall background), Body Area; Throat and neck; the thyroid gland, Flowers; roses, , primula, daisy, vines, purple & powder blue columbine (around frame) and red & yellow poppy (bottom left) Trees; pears (top of frame) cypress (bottom right) and crabapples bottom of frame), mixed fruit. Metal; copper (throughout art), Gemstone; emerald Center of frame and bottom right corner, Animal; cattle, Positivity: negative (face bottom right) Zodiacal constellation of the northern hemisphere located between Aries and Gemini and containing the bright star Aldebaran, the Pleiades and Hyades, and the Crab Nebula (bottom right). 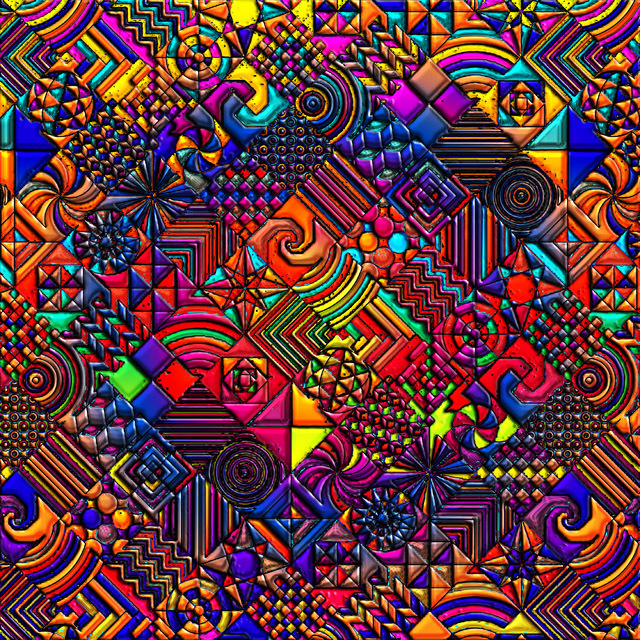 Taurus is classified as an earth sign (top left), and its ruling planet is Venus (bottom and color topography map center of symbol). Great Gift for Anyone with a Birthday Between April 20 – May 20. My mother has been practicing astrology for over 40 years, and she suggested the characteristic elements used.